TAHOE/TRUCKEE, Calif. — Hindu statesman Rajan Zed will speak and answer questions about Hinduism on Friday, March 21, in Truckee. 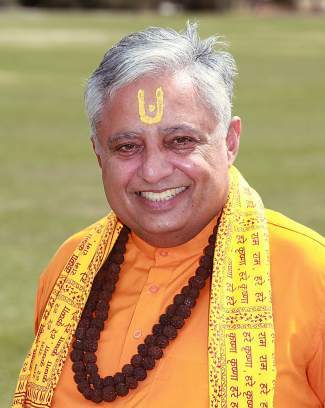 Zed, who is president of Universal Society of Hinduism, will address the gathering at For Goodness Sake, located at 10157 Donner Pass Road in Truckee, starting 6:30 p.m. and then answer questions. Hinduism is oldest and third largest religion of the world with about one billion adherents and moksh (liberation) is its ultimate goal. There are about three million Hindus in United States. Besides Hinduism, Rajan Zed has taken-up interfaith, religion, Roma (Gypsies) and other causes all over the world. All are welcome to this free event. Coffee and snacks will be available. For more information, please contact Andy C. Hill, executive director of For Goodness Sake, at 530-550-8981 or andy@goodnesssake.org. For Goodness Sake’s mission includes nurturing the spiritual health of the community. He recently appeared in a documentary about religion titled “Unresolvable?” and has read opening prayers in United States Senate in Washington, D.C., various State Senates and State Assemblies/Houses-of-Representatives, various County Commissions and City Councils all over the nation. Has been panelist for “On Faith,” a prestigious interactive conversation on religion produced by The Washington Post, and currently leads a weekly interfaith panel “Faith Forum” in the Reno Gazette-Journal. He has raised lot of voice to end apartheid-like conditions faced by about 15-million Roma populace of Europe and has been invited and participated in World Economic Forum.